After fighting illnesses (emphysema and COPD just to start) for many, many years, my father-in-law, Andrea LoPrete, passed away last Thursday morning, December 17. Just one week before Christmas. Yesterday was his funeral. Needless to say, this is going to be a quieter, more solemn holiday than most around here. Most of you reading this didn’t know Andrea (it's an Italian name, pronounced on-DRAY-uh), even those few of you reading this who may have met him once or twice. But I wanted to give you a brief pictorial summary of who he was. And because I’m proud to have known him. 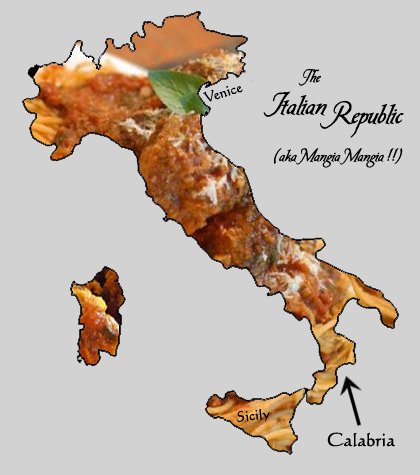 Like many parts of Italy, Calabria is a complete mosaic of cultures. 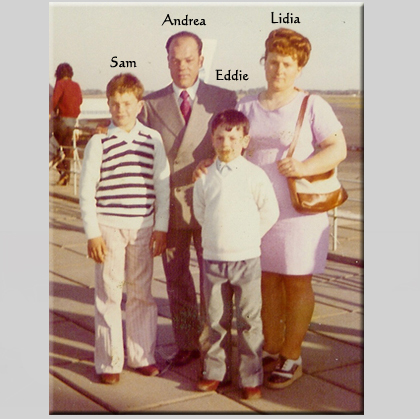 In addition to his dialect of “proper” Italian, Andrea grew up speaking a dialect of the Albanian language. Why? Because many Albanian refugees fled from the Ottoman Empire’s rule in the 15th century, crossing over into Italy for safe haven (and stayed for the food). 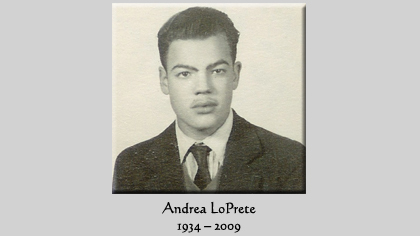 Interestingly, Andrea’s last name, LoPrete, is actually a French-Italian hybrid (roughly, “the priest”). My own theory is that somewhere in his lineage a French woodsman must have gotten lost in the Alps, wandered down the mountain eastward into Italy, and stumbled on a tavern in some sleepy little town...and thereafter decided he preferred tomatoes, garlic, and pasta to the foo foo pastries and cream sauces of his homeland. Be that as it may, when he was 14, Andrea climbed into a boat with one of his sisters and left Italy behind, in hopes of finding somewhere in the world where he could sip tea from a metal straw and find more cows and sheep than anywhere else. It took a month to do so, but then he arrived in Argentina. Andrea settled in the outskirts of its capital city, Buenos Aires, the “Paris of South America,” a place where he’d learn to speak Spanish the way it ought to be spoken, damn it. (Apparently, even Spain doesn’t have it right.) Here he found work in a textiles factory, and a few years later in that same factory he met a nice Italian girl, Lidia: not just any Italian, but a part-time farmgirl from the suburbs of Venice! Which means she was from northern Italy, where all the stuck-up, nose-in-the-air Italians are from (according to Andrea). But they set aside the differences that automatically come between Italians who aren’t from the same part of the Motherland, and in 1960 Andrea and Lidia entered into a long marriage (almost 50 years) of eating empanadas and drinking maté...and returned to those differences again, arguing about which part of Italy makes the best marinara sauce and whose family is more hard-headed. (The correct answer to that is: both. 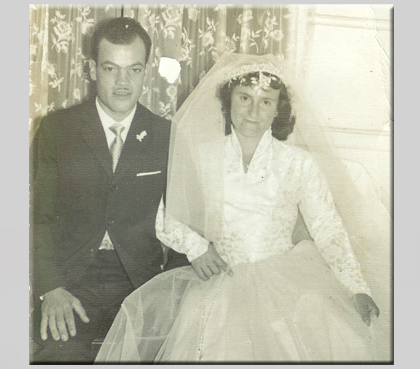 Lidia’s family was bull-headed, and Andrea’s family was rock-headed.) But this was oldschool Italian/Argentine love and you’re supposed to fight about things like this. Cue the Tango. Andrea soon left the factory and went into construction and carpentry, the house-building business. In 1962, they had a boy, Javier. (Who would later take the name Sam in America.) 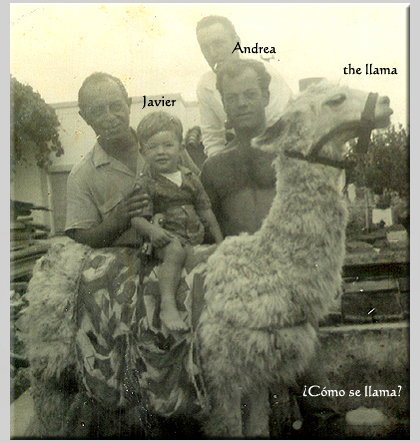 Like any proud Argentine father, Andrea sought out a South American camelid and placed his small son on its back. A llama would do just fine. Five years later they had another son, Eduardo (Eddie), thereby creating a second fan for the soccer-loving, non-English-speaking world. 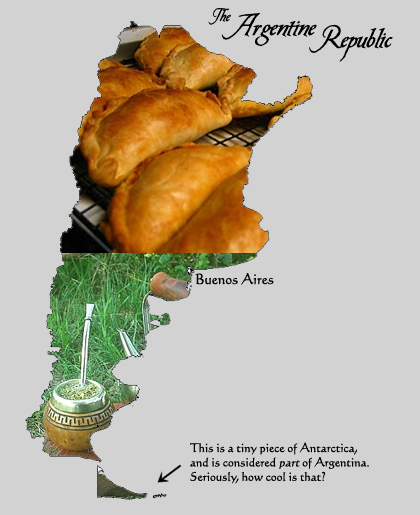 But then times got tough in Argentina, and work became hard to come by. So like many families in such times, they looked to the United States of America, where the streets were undoubtedly paved with gold and whose freedom-loving, verdigris-plated colossus would always welcome immigrants with open arms. So when their third child, Marisa (my wife! ), was still just a sticky bun in the proverbial oven, Andrea got suited up to fly to America. In those days, one dressed up for aerial travel. 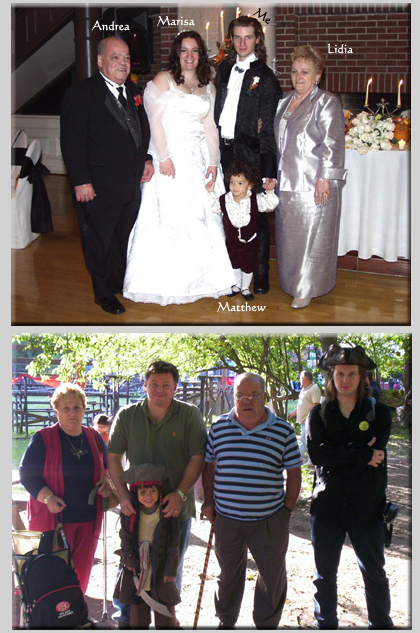 Now in New York, Andrea lived for a time with his eldest sister and got back to house-building. He spent 7 years apart from his family, until there would be enough for money to send for them, too. (A common pattern among working immigrants, scouting out work in another country before sending for the family.) 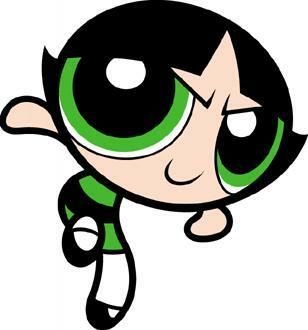 Of course, Andrea would return from time to time, and in one such visit he would meet his infant daughter, who even then had the attitude of Buttercup. 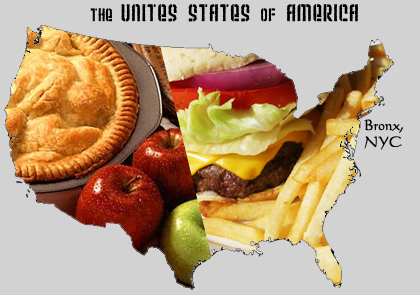 In 1980, the rest of the family made the transition to the land of apple pie, cowboys, melting pot cities, and gun-toting patriots. They settled into the Bronx, and the kids started to pick up the family’s third language: English (and maybe a little Spanglish). Nearly thirty years passed. A lot of things came to pass in Andrea’s life during all that time, too much to even summarize here, including a lot of patronage for the farms of America. A lot of fruit was culled from their lush acres, I can tell you, and no peach or cherry was safe from Andrea's grasp. And while Americans howled for their baseball and football, the LoPretes kept tabs on the sport the rest of the world cared about (the only team sport worth all the hoopla). They cheered and lamented over the fluctuating fortunes of Argentine soccer teams. But hey, at least Italy won the World Cup in 2006. Somewhere in this mix, his daughter Marisa met me and eventually I married into Casa de LoPrete. This established me as the first true American mutt in the clan, even if I’m just an in-law. I’m the one who introduced this, my second family, to various geeky American locales, like Renaissance festivals and Medieval-themed restaurants—and Marisa, my wife, to gaming and to GenCon. Andrea’s life had many difficulties, not only in economical hardship within multiple countries, but also in various illnesses. His decision to keep smoking for far too long in the face of many warnings made the last 20 years of his life harder than they needed to be. Not only for him but for his family. I myself have been frustrated by the burdens his condition brought many times, and the stresses inflicted upon Marisa are innumerable. 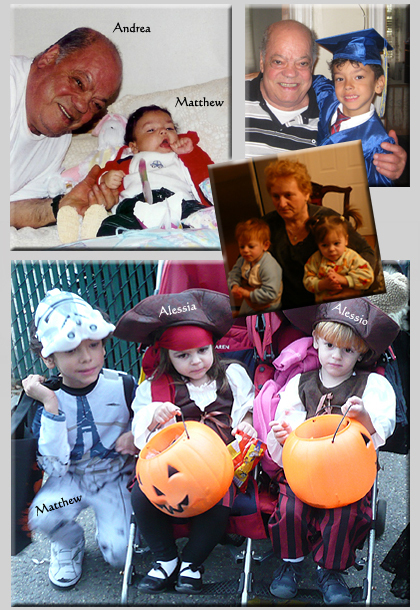 He wasn't always easy to live with, and he could be a real grump, but he also livened up our world. He was inquisitive for a blue-collar tough guy, and would sometimes ask random science questions whenever they struck him. Andrea’s suffering is over now, and we grieve for losing him. He leaves in his wake more things than I’ll probably ever know, but within my own experience, it's legacy of memories, children, and grandchildren. It’s becoming harder and harder for any of us who knew him to remember what we were ever mad about. In fact, all the good things come to mind easier now, along with all the funny things he said or did (whether he knew it or not). Everywhere we look is something Andrea made with his own bare hands. Who does that anymore? And every now and then we'll drive past a house that he built or had a hand in building. A legion of relatives across the ocean recall him well. I liked him. And I know he liked me. A language barrier divided us, but we understood each other well enough. He helped give my wife and I a home (our apartment was rendered at his expertise), and I'll always try my best to take care of his daughter. He was always nice to me. I remember every now and then he would sing a line or two from some song in Spanish or Italian, signifying one of his good moods. Those always made me happier. 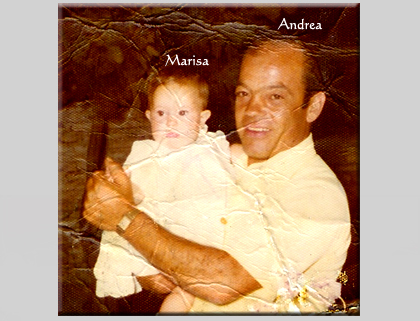 Andrea was many things: A husband, a brother, a father, an uncle, a father-in-law, a carpenter, a grandfather. And the best aspects of these roles live on in those who knew him. Cue the Tango. And rest in peace, Andrea. There are some things going on right now that are quite momentous and difficult to relate in a few mere words. But I'll save that until next week, when things begin down the long road to adjustment. But I did want to put one thing out there. 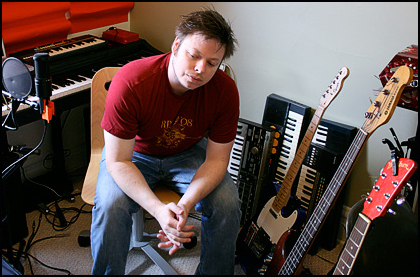 Josh Wentz, whose name crops up time and again on this website, has just made his entire collection of music that he's ever recorded (between 1996 and 2009) available for free download. We're talking about 240 tracks. For you writer types out there, I can tell you that a lot of this music is perfect writing music. You should totally go, sample, and snag some. If you write some fiction that takes place in the real world—be it the past, present, or not-too-distant future—both you and your readers get to take a lot for granted. There are 24 hours in a day, four seasons in a year, one moon in orbit, and when you refer to Ancient Egypt, readers will rightfully think of sand, pyramids, anthropomorphic gods, and maybe mummies. If a character pulls out a gun, the reader understands the concept, even if they don’t know the physics of firearms. So you don’t have to waste any time educating the reader about anything new. You can hit the ground running. I suppose it could be reasoned that this is why mystery, romance, and non-genre fiction get the most sales. There’s less work for both author and reader with "real world" fiction. But nah, I think their popularity probably has more to do with the zeitgeist of modern society. 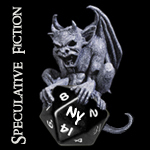 With fantasy—or outlandish science fiction—storytelling is quite a bit more work . . . if you don’t want to cheat. Why do I say cheating? In Star Wars, seeing two suns in the sky on Luke’s home planet of Tatooine might suggest an unusual daylight scheme. Are there, in fact, 24 hours in a day? (If so, then the circumference of Tatooine also happens to be 24,901.55 miles; if not, then it spins faster or slower to compensate to make a full rotation in 24 hours.) Do day and night have the same ratio as on Earth? Is Tatooine’s cycle around one or both of its suns the same as ours? If not, then years don’t mean the same thing. How many years old is Luke, then? Supposedly he's 19 years old in the first film. Now, is that in Earth years or Tatooine years? George Lucas didn’t worry about stuff like this because it wasn’t the point of his story (and might even have detracted from the story if he had). But readers who appreciate immersive science fiction might demand to know such things. Such readers may well have chased down those answers in the Star Wars novels. Or maybe those in charge of the Star Wars Expanded Universe are content to gloss over those details? (Which would mean that Tatooine, Alderaan, and Coruscant are all the same size or in the same sort of orbits.) I wouldn’t know. I may be picking on Star Wars, but it’s true for most other fantasy settings. Most of them feature worlds which are conveniently similar to ours, so that the authors don’t have to worry about such details. With Middle-earth, Tolkien didn’t need to worry about this problem much because Middle-earth was Earth all along (and shared the same night sky, moon, and presumably the same solar system), or at least an alternate Earth. He told us only what needed telling, and if something was quite different about his setting than our understanding of Earth then he did address it. Usually. Magic, goblins, Elves, Wizards, orcs . . . these things he fleshed out quite extensively so that you do understand, more or less, where they fit into the big picture. But what about if you’re creating a new world of your own, as I am, and you don’t want to take the easy way out? Then you’ve got physical, cultural, and environmental factors to flesh out and make clear to the reader so that they can follow the plotline. If you don’t address them, discerning readers will eventually wonder . . .
How many days in a month? In a year? Are there 7 days a week? If so, why? Isn’t our calendar astrology- or Bible-based, and therefore quite specific to Earth? Is the world round? Do the people know it? Is the character dialogue we’re reading merely being “translated” into English from some fantasy languages just for our benefit? Or am I to believe that Latin-based English is what these characters are really speaking? For my world, the intent is to straddle the line between adaptability and singularity. I’m probably not going to go and invent some hard-to-follow system of time that will detract from the story. There are 24 hours in a day, and probably 365 days in a year. But that’s not mere happenstance. The similarities between Earth as we know it and this setting are deliberate, as will be the differences. The calendar won’t be precisely the same as you know it. But in this first book, what we call dawn doesn’t arrive until around noon. Daylight is scarce. And you'll find out why. And the language everyone’s speaking . . . is it English? Yes and no. Wait and see!